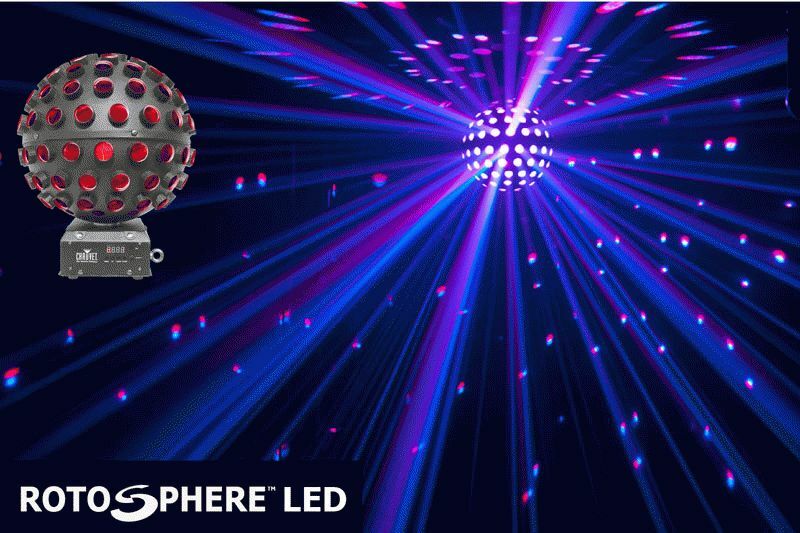 CHAUVET®, a leading manufacturer of LED lighting, announces the release of an easy-to-use, mirror-ball simulator that is a true substitute for the traditional mirror ball and pinspot duo. 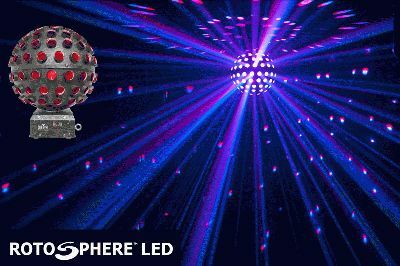 Rotosphere™ LED is a globe-like fixture powered by five high-performance, tri-colored LEDs that project through 124 lenses. These lenses are evenly spaced to optimize output and reduce dead spots. Smooth and continuous rotation allows this fixture to effortlessly spin 360-degrees in both directions and blanket the entire room in multicolored beams. Separate color control and adjustable rotation speeds give the flexibility to create customized looks in stand-alone mode without the need of DMX control. Easily mount Rotosphere™ LED to truss using the included bracket or position it on a table for a striking centerpiece. Create customized light shows using four channels of DMX control or simply use the built in, sound-activated programs that spin and change color to the beat of the music.